You can get to El Nido by large outrigger boat that seats between 60-80 from Coron. The trip takes 5-9 hours, depending on the weather and your boat. The trip can only be made in good weather, as the Coast Guard will stop all boats during bad weather. 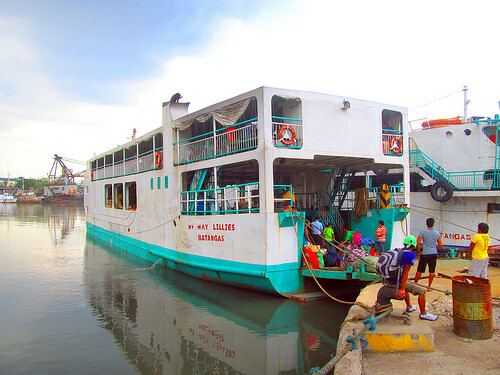 You will read mixed reviews about this online as the journey can be tough in choppy waters, and it’s a rough ride crossing the Linapacan Strait between the Palawan main island and the Calamian Group. You can read some reviews of the trip on a Tripadvisor forum here. The cost is 1400 pesos, plus a 20 peso terminal fee. A small lunch is served, but you should bring a snack. 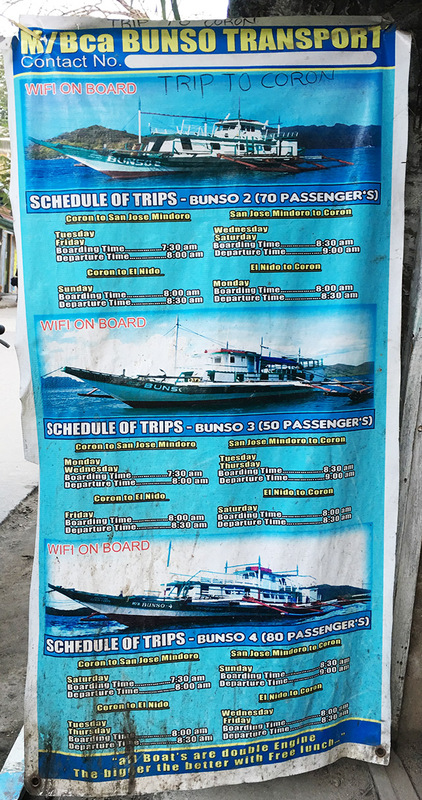 There are 2 companies that operate boats, and they all leave on different days at different times from the port in Coron or downtown El Nido. Your hotel should be able to help you book a boat, many booking agencies in town sell tickets, or you can get tickets at the port. 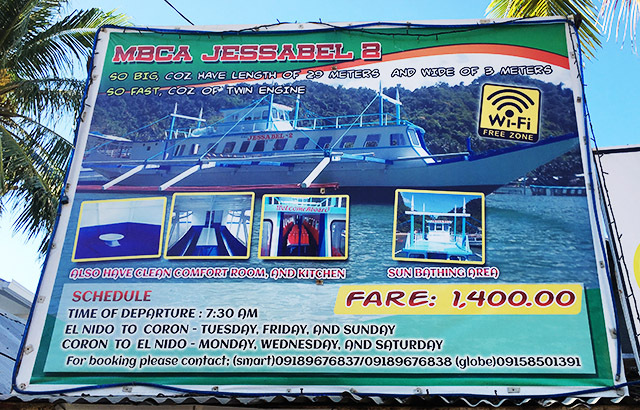 Please note: the MBCA Overcomer used to service the El Nido -> Coron route, but it has been discontinued as of 2017. Please note: Bunso 1, 3 and 4 take about 5-6 hours to get to Coron. Bunso 4 is a slower boat, and takes about 8-9 hours. Montenegro Lines has started offering a steel-hulled passenger ferry that takes only 3 1/2 hours, and departs every morning. Here is their ferry schedule, as posted on their Facebook page. 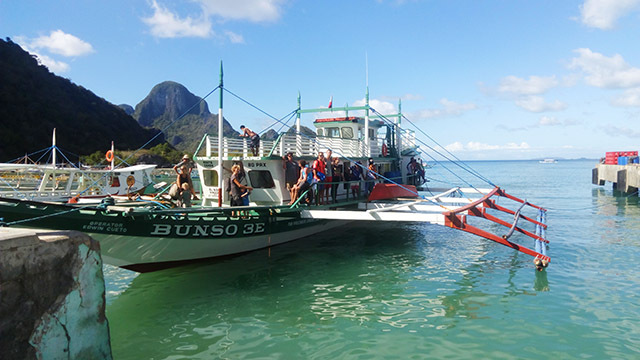 Atienza Shipping Lines sends a passenger/cargo ship between El Nido and Coron every week. The boat is steel-hulled and is named the MV May Lillies. You can find more information about the schedule on their website.